Help your infant or toddler develop their small motor skills with this Melissa & Doug's first bead maze, sized perfect for any high chair tray or tabletop. 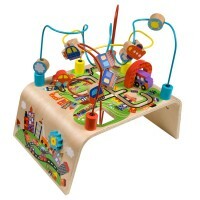 Educational Toys Planet invites you to embark on a colorful journey around a very specially crafted toy. 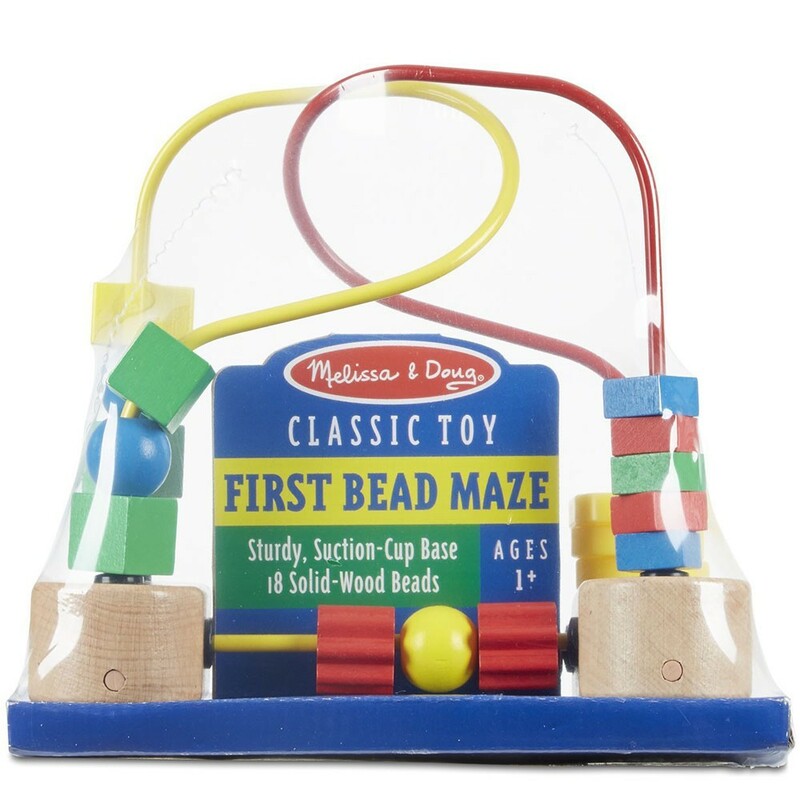 Melissa & Doug's baby First Bead Maze is a high quality classic favorite. 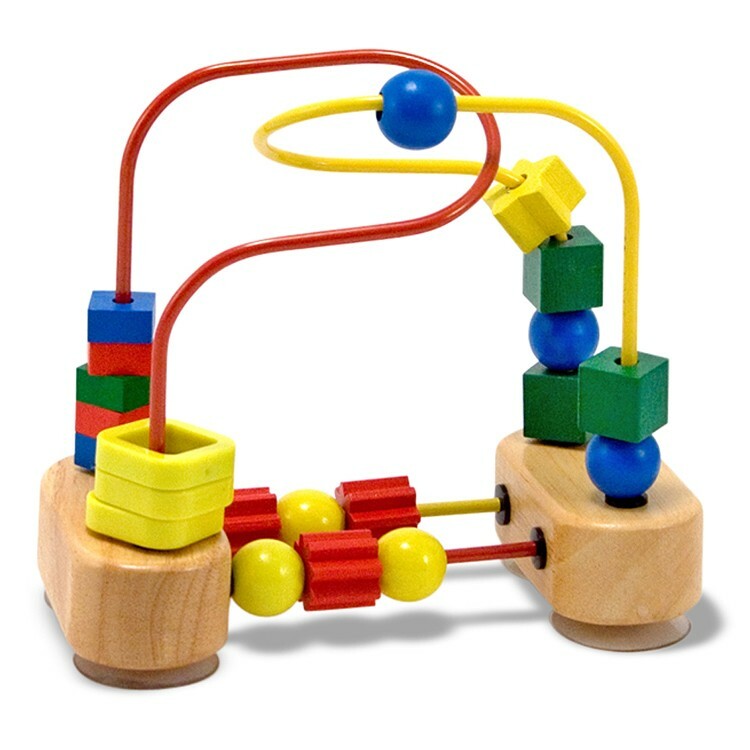 Featuring large movable beads connected to a sturdy wooden base, this baby and toddler toy helps young children learn basic geometry, identify objects, fine tune motor skills and stimulates early mental development. 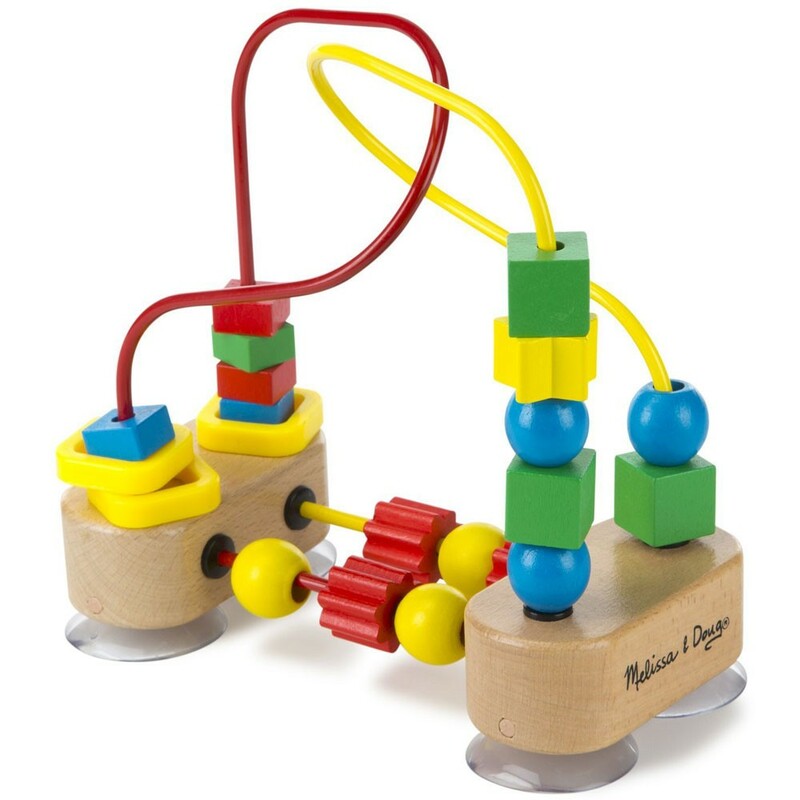 Each smooth-sanded piece makes this bead mini rollercoaster just the right size for tiny hands, and the safe features of this maze makes it the perfect activity toy for babies of all ages. 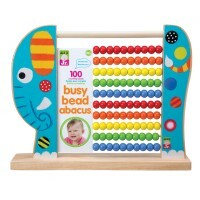 Race to the end of the vibrant beaded road moving the colorful pieces of the First Bead Maze! 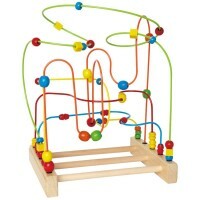 Dimensions of package 7" x 4.2" x 8.6"
Write your own review of First Bead Maze. 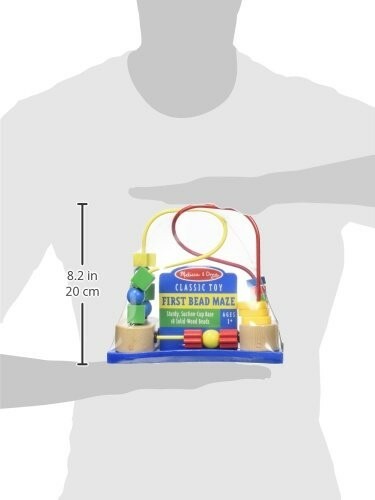 Rating: 5 A great learning toy. 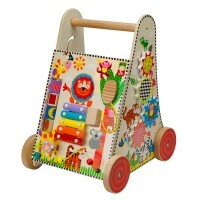 by GrandmaPat Harper is learning colors and shapes. 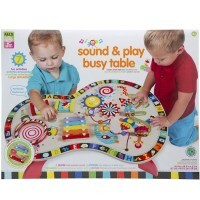 Fun to play with and learning as we play. 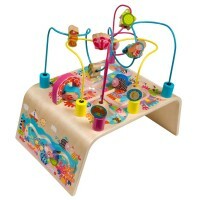 Rating: 5 by Theresa, RI Finally I could find the toy of this kind for affordable price! 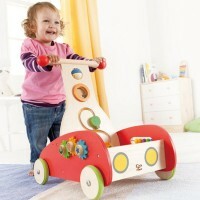 Our baby loves to play with it. And it is really good for her hands! 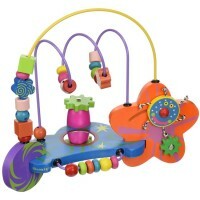 Rating: 5 by Linda, FL Even tho my grandson is only 3 months old, I love this product. I'm confident he will love it too.